Friday Arts Project is an arts organization. We host a weekly dynamic discussion group, consistent drawing events, engaging & relevant lectures and a small arts festival. We have a presence on the Winthrop University campus where we seek out and mentor future artists and host events specifically tailored to them. We also curate an art gallery. Most of our events happen in a lovely old building called the Gettys Art Center in downtown Rock Hill, South Carolina. Our gallery and studio space are on the second floor of that building. We utilize our studio as a gathering space for artists, as well as, a place to gather our thoughts, works & mediums to better serve our community. 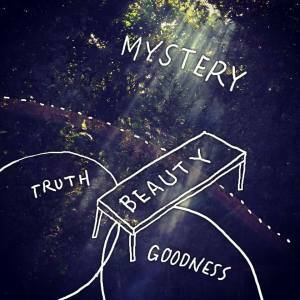 Beauty exists where Truth and Goodness meet Mystery. Art advances the celebration of this intersection. Located at 201 East Main in Old Town Rock Hill, South Carolina, The Gettys Art Center is home to the Courtroom Gallery and many of our events. Friday Arts Project is a nonprofit 501(c)(3) organization and an affiliate of International Arts Movement.